Earth Observation (EO) provides a unique means of obtaining information on land use/cover and of its changes, which is of key importance in many scientific and practical applications. EO data is already widely used, for example, in environmental practices or decision-making related to food availability and security. As such, it is imperative to examine the suitability of different EO datasets, including their synergies, in respect to their ability to create products and tools for such practices and to guide effectively such decisions. 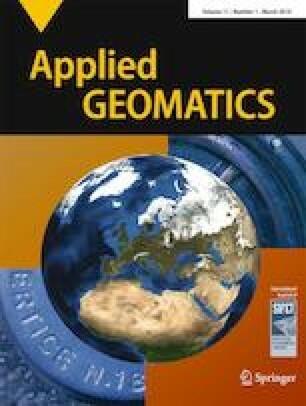 This work aims at exploring the added value of the synergistic use of optical and radar data (from the Landsat TM and Advanced Synthetic Aperture Radar (ASAR) sensors respectively). Such information can help towards improving the accuracy of land cover classifications from EO datasets. As a case study, the region of Wales in the UK has been used. Two classifications—one based on optical data alone and another one developed from the synergy of optical and RADAR datasets acquired nearly, concurrently were developed for the studied region. Evaluation of the derived land/use cover maps was performed on the basis of the confusion matrix using validation points derived from a Phase 1 habitat map of Wales. The results showed 15% increase in overall accuracy (84% from 69%) and kappa coefficient (0.81 from 0.65) using the synergistic approach over the scenario where only optical data were used in the classification. In addition, McNemar’s test was used to assess the statistical significance of the obtained results. Results of this test provided further confirmed that the use of optical data synergistically with the radar data provides more accurate land use/cover maps in comparison with the use of optical data alone. Authors are grateful to the reviewers for their comments that resulted to improving the overall manuscript. GPP’s contribution to this work has been supported by the EU Marie Curie Project ENViSIon-EO (project contract ID 752094). AC conducted the research described in this study under the supervision and guidance of GPP, and all co-authors contributed to the preparation of this manuscript for submission to the journal and also during the paper revision.